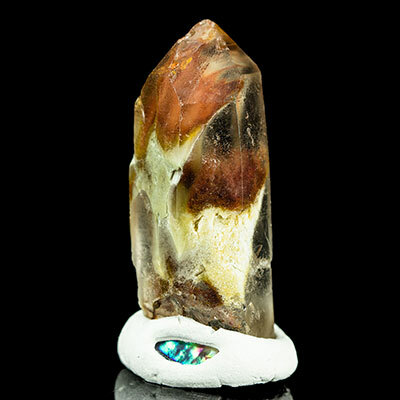 Amphibole Quartz Properties and Meaning – Amphibole Quartz Crystals have inclusions, mostly consisting of (yellow) Limonite, (red) Hematite, (white) Kaolinite, and (pink) Lithium. This Quartz is from Bahia, Brazil. 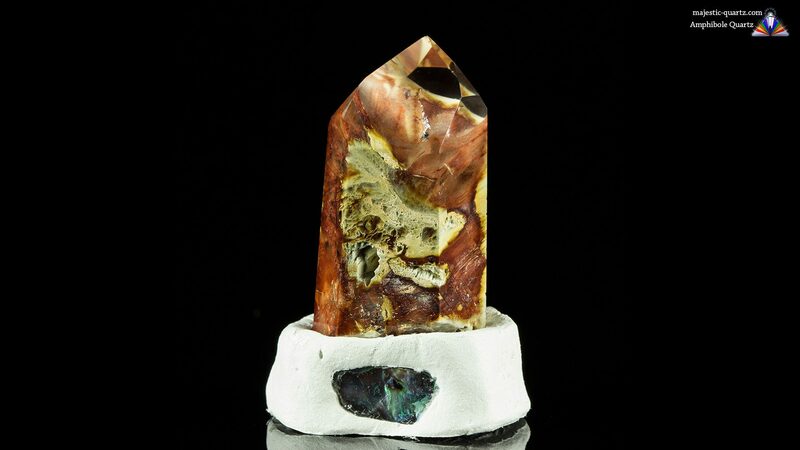 Read more about Amphibole Quartz healing properties information and view the beautiful photo galleries down below. Amphibole Quartz is also known by the names Red Rabbit Quartz in Asia and Angel Wing Phantom Quartz over the rest of the world. This is due to the inclusions looking like Angel Wings. It is no coincidence that these crystals have a close link with the angelic realm. Amphibole Quartz crystals are multi-talented with having so many inclusions threaded in and throughout them. These crystals bring peace, harmony and serenity through surety. They breed a strong sense of confidence within oneself – confidence in ones decisions, confidence to take on the unknown and new projects. The red Hematite keeps one grounded while providing the raw energy and drive to move forward – no matter what obstacles may be thrown up in your path. The yellow Limonite radiates self worth, joy and provides an abundance of personal energy that bursts forth – inspiring both the self and others around you. The pink Lithium provides the energy of Love, empathy for others – and keeps one focused on the all important core values of giving, integrity and selfless light work for the betterment of all. 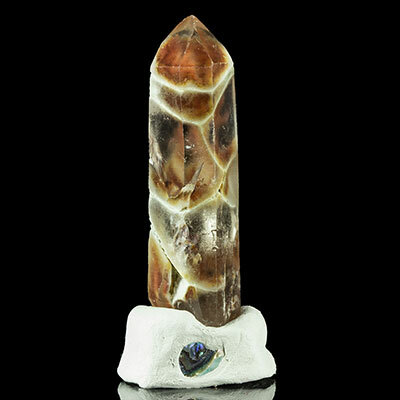 The Kaolinite channels in Crown Chakra energy providing inspiration and connection with the Angelic realm – funneling pure white light into everything that one does. 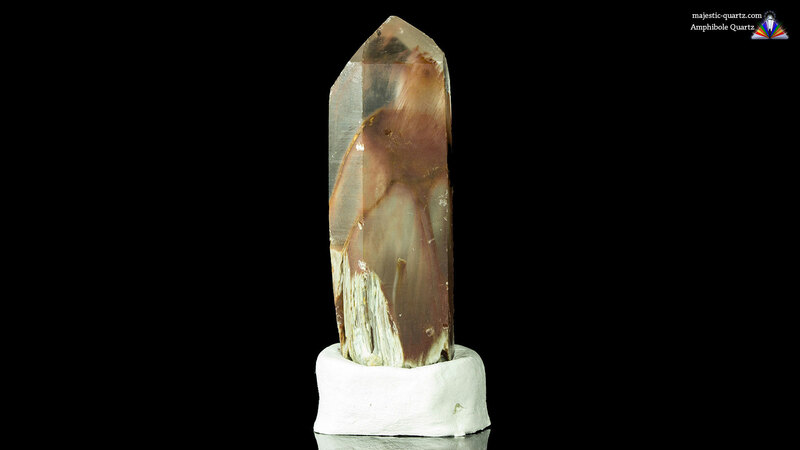 Amphibole Quartz is very, very effective when working with lung related issues – especially in elixir form. 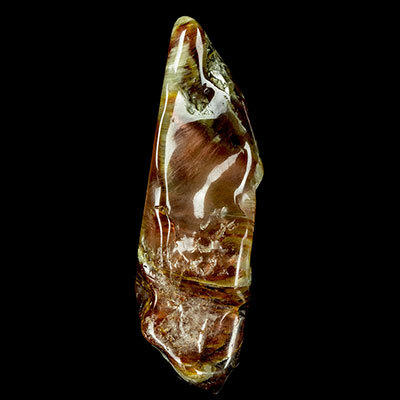 This crystal is a very serious cleanser – of pollutants, toxicity and negative thought patterns. It is a manifestation crystal extraordinaire. 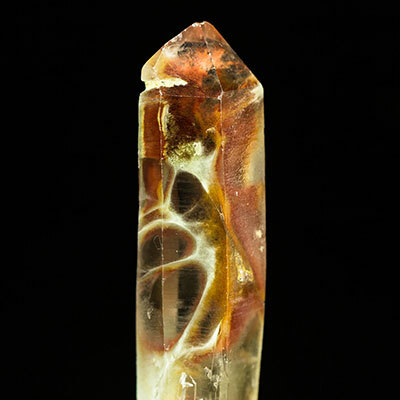 Amphibole Quartz is an exceptional crystal to use for lucid dreaming, especially when used in conjunction with an elixir made from the same crystal. Place the crystal beside your bed head or under your pillow and prepare to have peaceful, restful sleep with very informative dreams! 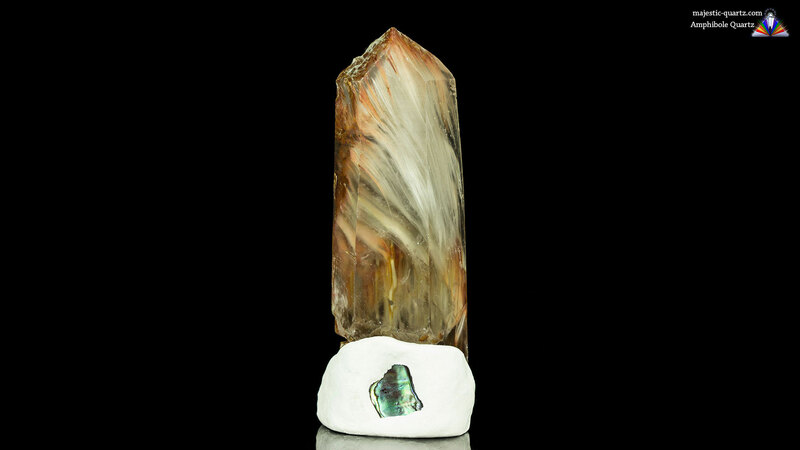 The Limonite aspect also offers excellent crystal protection properties, and the white Kaolinite gives one the intuition to know when to use the protective qualities – thus avoiding unnecessary knee jerk reactions, unwarranted paranoia and fear based decisions. 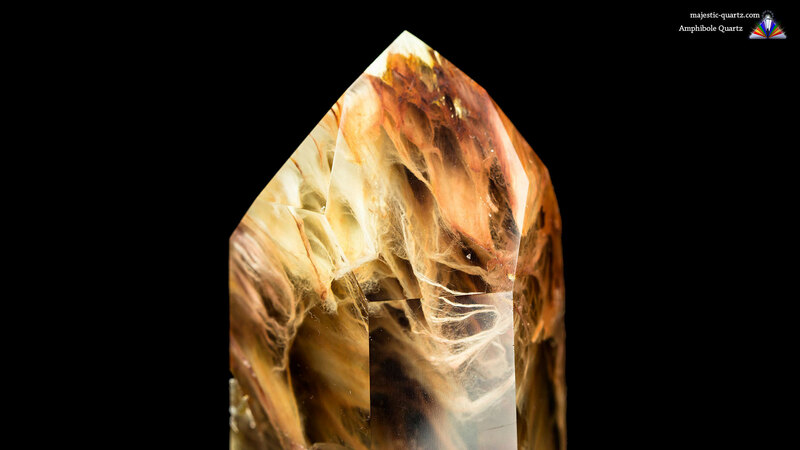 Click the Amphibole Quartz Crystals below for higher resolution photos! 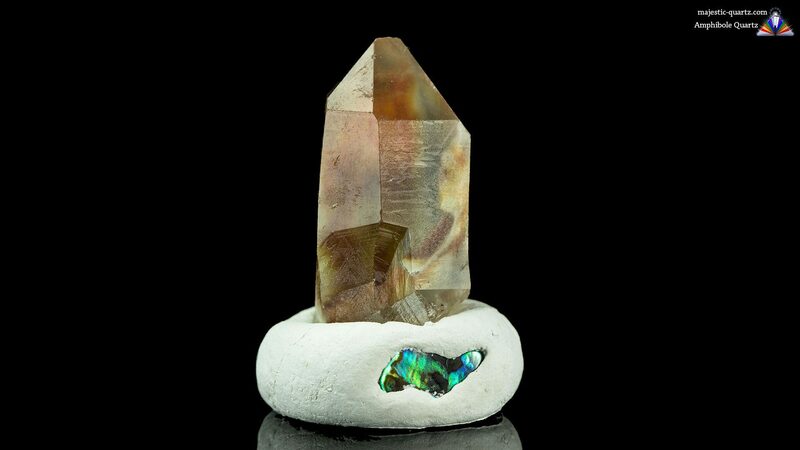 Do you have a personal experience, question or information pertaining to Amphibole Quartz Properties and Meaning? Please feel free to use the comments form below to share your knowledge with the Crystal Information encyclopedia. Please note, we moderate this feature to keep the site free from unwanted spam. I am working in mining and geology lab, my question is: a quart with that cristal form is called an amphibole? Is the "super 7" and amphibole the same? Hi Claire, no, they are very different types of quartz to each other, vastly different inclusions.